Yokogawa started to implement a fix in the improper input vulnerability in the CodeWrights GmbH HART Device Type Manager (DTM) library utilized in Yokogawa’s HART Device DTM, according to a report on ICS-CERT. Alexander Bolshev of Digital Security discovered the issue in the CodeWrights GmbH HART Device Type Manager (DTM) library used my multiple industry suppliers. The vulnerability causes a buffer overflow in the HART Device DTM crashing the Field Device Tool (FDT) Frame Application. The Frame Application must then restart. The Frame Application primarily sees use for remote configuration. Exploitation of this vulnerability does not result in loss of information, control, or view by the control system of the HART devices on the 4-20mA HART Loop. Yokogawa is a company based in Japan that maintains offices in several countries around the world, including the Americas, Europe, the Middle East, Africa, South Asia, and East Asia. The affected product is the DTM library used by Yokogawa HART-based field devices in the FDT/DTM Frame Application. These products see action across multiple critical infrastructure sectors. Yokogawa estimates these products see use worldwide. Yokogawa released an advisory (YSAR-15-0001) to address this issue. 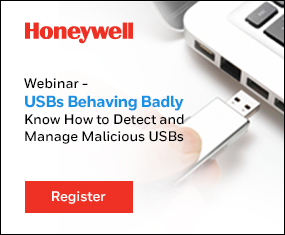 Contact a local Yokogawa office to obtain the latest version to mitigate this vulnerability. There are offices worldwide; click here for North American office contact information. JPCERT has also released an advisory (JVNVU # 96347573) to disclose this information.